After a while another monkey makes an attempt with same results.. all the other monkeys are sprayed with cold water. Pretty soon when another monkey tries to climb the stairs, the other monkeys will try to prevent it. Si usted comienza con una jaula que contiene cinco monos y dentro de la jaula, cuelgue un plátano en una cuerda por la parte superior y luego se coloca una serie de escaleras bajo el plátano, en poco tiempo un mono irá a las escaleras y subir hacia el plátano. Tan pronto como se toca la escalera, se pulveriza todos los otros monos con agua fría. Después de un tiempo a otro mono hace un intento con los mismos resultados .. todos los otros monos son rociados con agua fría. Muy pronto, cuando otro mono intenta subir la escalera, los otros monos tratarán de impedirlo. Ahora, poner el agua fría de inmediato. Eliminar un mono de la jaula y reemplazarla con una nueva. El nuevo mono ve el plátano y los intentos de subir las escaleras. Para su sorpresa, todos los otros monos golpearon a la mierda de él. Después de otro intento y ataque, él sabe que si intenta subir las escaleras se le agredió. A continuación, retire otro de los cinco monos originales, su sustitución por una nueva. El recién llegado va hacia las escaleras y es atacado. El recién llegado anterior participa en el castigo ...... con entusiasmo, porque es ahora parte del "equipo". A continuación, sustituir tercera mono original con uno nuevo, seguido por el cuarto, entonces el quinto. Cada vez que el último mono lleva a las escaleras, es atacado. Ahora, los monos que le dan una paliza a no tienen idea de por qué no se les permitía subir las escaleras. Tampoco saben por qué están participando en la paliza de los más nuevos del mono. Por último, después de haber reemplazado todos los monos originales, ninguno de los monos restantes habrá nunca ha rociado con agua fría. Sin embargo, ninguno de los monos intentará subir la escalera de la banana. ¿Por qué lo preguntas? Porque en su mente ... esa es la forma en que siempre ha sido! TODOS los monos necesitan ser reemplazados, AL MISMO TIEMPO. Yes, a nice little analogy in the true sense of the word “nice” meaning “precise.” Maybe not something Aesop would have used, given the lack of a moral to the story, but, in the subject group, morals or the application of them is never an issue of contention. However, there’s a history to this piece. Long about the time the district started the process of moving their business from north Grand Ave. to Beaudry, the first major reorganization took place. The cluster office system was replaced with the alphabetized mini districts. That was around 2000. Then around 2005 the district was re-divided into the numbered local districts. Now it would seem that they’ve become regional learning centers or something of the kind but in the same structures. When the cluster system ended, all administrators were required to apply for the newly titled positions created which resulted in a lot more administrators. That repeats itself each time. But many of the old boys, who thought they were in solid, were left out in the cold. The way of doing things hadn’t changed but it was a changing of the guard. Same thing happened in second reorganization. Many of those who had made their rise were to be demoted. But that wasn’t because they had tried to change the modus operandi. Now it’s on its way again and the former mighty are falling. But unlike the analogy might suggest, it had nothing to do with any of them wanting to change the way business was being done or needing to be taught a lesson. It was more a matter of some upper level administrators foolishly thinking that the could camp out and become complacent instead of ever being on the move in the hunt for the next career step up. They made themselves stationary targets. You see, no matter what united front these administrators present to their opposition, us, or what the union should be but isn’t, there’s always internal cutthroat competition among them. Those who once knew favor come to see their patrons moving on and leaving them on their own. This is why nothing really changes but rather remains business as usual. An apt anology at an astute time with the monkeys now being shifted and shafted like they should have known they would be. But they didn't because they fell for the ruse about thief importance and power. I called this a couple years ago. Suits are being abused but only because they are not on board with the ugly duty they have. With del Cueto and Romero getting their taste of that whip they snapped with ruthless glee, we can hope this thing has begun to unravel. They will turn on each other and their organ grinder soon. They need to know the WORLD is looking on, rather. The more they try to stop it, the quicker it will unravel. Here's hoping it doesn't take long. Hat's off to the brave and love and support to the children.They need to know the word is looking on. Sadly, the world is distracted. 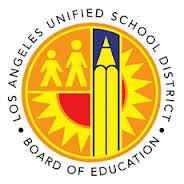 Even parents and teachers are oblivious or indifferent to the white chalk crime spree at lausd. It made news until recently, but the local media abides the same boss, a billionaire busybody named Eli Broad. It is crazy how absent we are from our fate and that of children. People can't fathom the complex, cunning compulsions of a bully with more money than a country like Greece. They are creatures who react to lurid headlines about perverts spooning sperm to third graders in class. They miss the bigger picture. This is the best lucid comment you have blogged yet!!! I think the biggest problem is that all the players are in bed...enjoying the experience, forgetting TOTALLY the real reason why are there in the first place, THE CHILDREN OF LOS ANGELES. The grave manner in which our current non political membership of utla AKA, real teachers in real situations are slowly showing the results of about 3 decades of planned destruction - close to 1000 teachers in 'teacher jail,' hundreds taken 'stress medical leaves,' at most sites, over 1/2 of the teachers are considering a new career, and forced early retirement of our mature - sage teachers, who save the District money, but deplete our campus' of the time proven common - sense teaching that newer teachers will need to hold on to as Lausd, Utla and our Federal Government destroy the curriculum through programs such as NCLB, Race to the Top, Common Core Curriculum, and Breakfast in the Classroom. Until members of Utla really grasp who their enemy IS, and that WE are the only ones who truly are working day to day FOR THE CHILDREN, the destruction will continue.